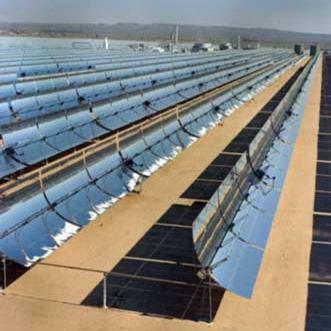 The World Bank via its Clean Technology Fund is investing $750 million (522 million euros) in eleven concentrating solar plants in the Middle East and North Africa region. This is due to spur additional investments worth $4.85 billion. These projects are due to add nearly a gigawatt of capacity to local grids within three to five years in Algeria, Egypt, Jordan, Morocco and Tunisia and would triple the current concentrated solar power (CSP) capacity. I wonder if this could be a significant boost to the DESERTEC project as it is exactly about building renewable energy facilities in these countries.